NEW!VOTE FRAUD CAUGHT ON VIDEO. 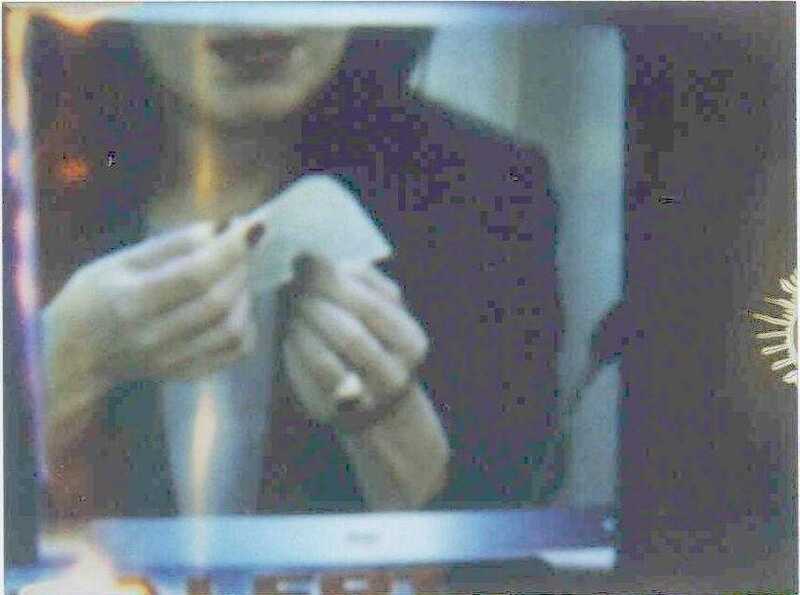 In a recount where the detachment of the corner of a chad from the card is counted as a vote, the handling of the cards should be such that chads are not detached during the process. 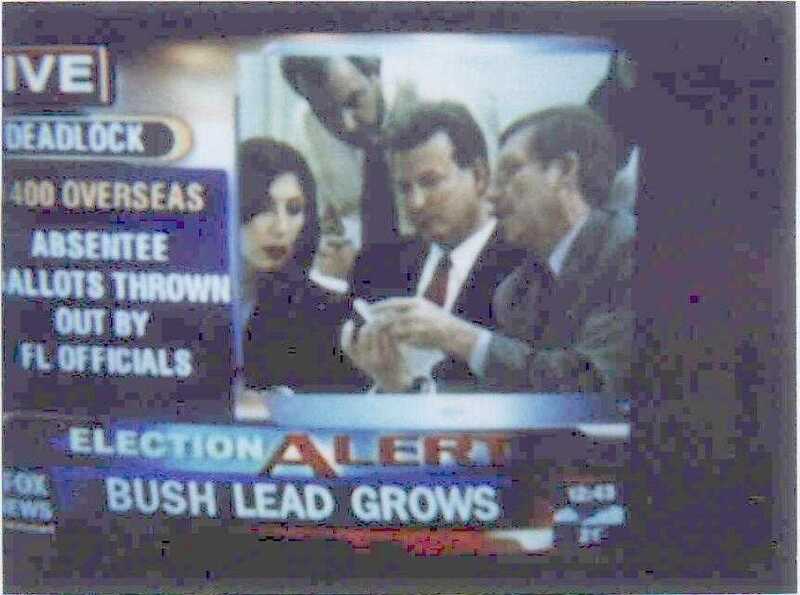 Yet as can be clearly seen in the following frame grab, Democratic vote counters are bending ballots sharply along the row where the punch hole for Gore appears, increasing the possability that a chad could tear loose. Clips from another video, in which the woman is cleary seen bending the ballot back and forth, then picking a chad loose with her fingernail. There have been allegations of fraud in the 2000 election across the country, from the "Voter Identification Card" that allowed non-citizens in California to vote, to homeless voters in Milwuakee bribed with cigarettes, to Republican voters' names vanishing frmo voter lists in, well, several states. Even before the race had come down to one state, Florida, allegations of fraud were coming out of Broward County, Dade County, and Palm Beach. In the glare of media light focused on Florida, Democrats are trying to claim that the GOP is the one trying to rig the election, but an examimation of the county by county vote totals shows a strange pattern. The table below is the pre-recount county totals for Florida, as shown at http://www.abcnews.go.com/sections/politics/2000vote/general/FL_county.html as the recount got under way. Note that Bush leads in most counties, but that Gore leads in the counties where vote fraud is reported, such as Broward and Palm beach! How can it be GOP vote fraud if Gore is ahead in those counties, versus Bush leading in most of the non-fraud counties? 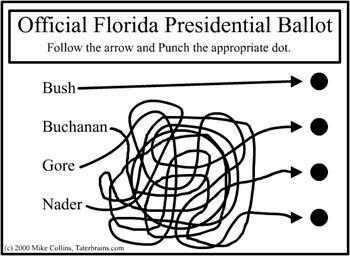 How Democrats see the South Florida ballot. 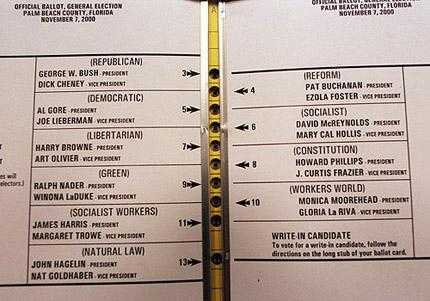 How Republicans see the South Florida ballot.